For decades, mathematicians have philosophically argued that the symbols used in their particular discipline can be considered the only true universal language. This is because no matter where you go, certain mathematical constants remain the same – i.e., pi is always pi, regardless of if you are in the United States or China or France. With that in mind, it might be apropos to say that time can be considered the only true universal human experience. This is because no matter where we live or what our station in life is, we are all allocated the same amount of time, every single day. No amount of money, no lucky accident of birth, and no exertions of industry on our part can grant any of us more than twenty-four hours a day. It has been theorized that man is unique among animals as the only creature that is aware of the passage of time. We demonstrate this awareness by the fact that we divided time into discrete intervals, and then created devices to measure and keep track of those intervals. Although timekeeping devices such as sundials have been used for thousands of years, and although mechanical clocks have been in existence for over 900 years, the wristwatch did not begin its existence until the 16th century. In an interesting bit of trivia, wristwatches were almost invariably worn by women until the early 1900’s. Up to that point, most men typically only carried pocket watches. Although the British Army used pocket watches strapped to their arms during the Boer War to coordinate troop movements, the first true, purpose–built wristwatch, was patented in 1903 by Diemer Freres & Cie, a Swiss watch-making company. Shortly thereafter, in 1905, Hans Wilsdorf left the employ of another Swiss watch-making company to found Wilsdorf & Davis with his brother-in-law. This is the company that would eventually become Rolex. Once again, an outbreak of war would change the course of wristwatch manufacture. 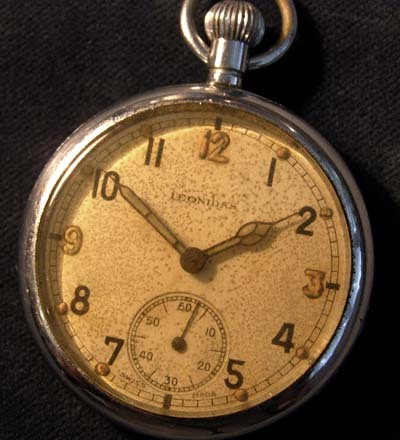 During World War I, wristwatches were used to synchronize the dual attacks of artillery and infantry divisions. Eventually, the War Department of Great Britain began to issue wristwatches, and by the end of the conflict, nearly all enlistees were in the habit of wearing one. 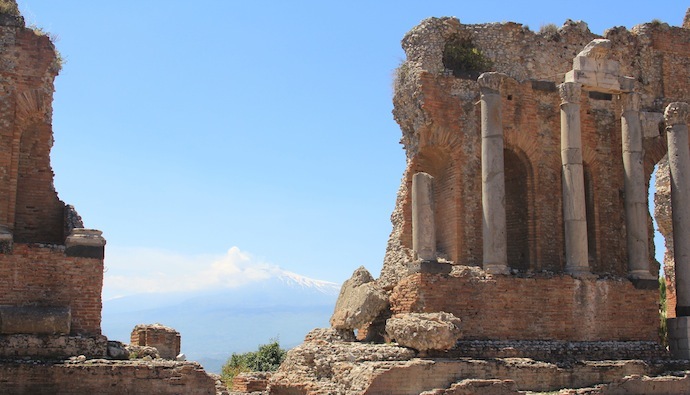 When the soldiers returned home, the habit came with them, and the style caught on with the general civilian population and, approximately 10 years after the end of the war, fifty wristwatches were being sold for every one pocket watch. The era of the wristwatch as a man’s fashion accessory had arrived. Today, over 100 years since their introduction, some people might view the wearing of a wristwatch to be unnecessary, at best a nostalgic throwback. After all, most of us carry with us ever-present technology, in the form of smart phones, tablets, laptops, etc., and surely, all of our timekeeping needs are being more than adequately met. Those people would be wrong. Or at least, they’re missing the point. Fine quality timepieces are about a lot more than simply, well… keeping time. The top designers of luxury watches each make a product that is recognized as possessing unmatched quality, extraordinary workmanship, meticulous attention to detail, inimitable style, and most of all, a classic design that can endure for decades. A desire for and acquisition of luxury items identifies a man as a person of discriminating taste capable of appreciating the very finest things in life. Far from being excessive ostentation, the wearing of a top-shelf timepiece is a tangible representation of success and achievement, certain to be noticed and noted by the rest of the world. True aficionados of the luxury watch niche understand that there are certain watchmakers whose names are synonymous with precision, performance, and prestige. Any man with one of these brands on his arm serves notice that he is indeed a force to be reckoned with, on many levels. 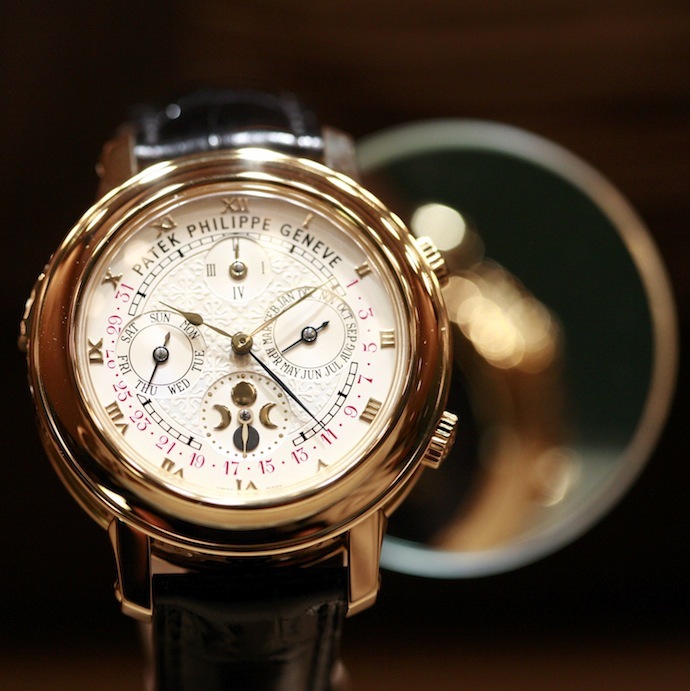 Established in Geneva in 1851, Patek Philippe & Co. has produced the most expensive watches in the world, and is considered by many to be the manufacturer of the most prestigious watches on the planet. It is important to note that Patek Philippe & Co. manufactures its own watch components, and has been responsible for many design innovations and inventions in the industry, including a keyless way to wind the watch, the perpetual calendar, and the chronograph. During its history, the company was commissioned to provide watches for several different monarchs and other royalty. Included among the royal percentages who have worn Patek Philippe watches are Queen Victoria and Prince Albert, the King and Queen of Denmark, Christian IX and Princess Louise, the King of Italy, Victor Emmanuelle III, and the Sultan of Egypt, Hussein Kamel. Among collectors, these are among the most desirable watches existed, with some designs selling at auction for record-setting amounts in the millions. For lovers of the craftsmanship involved in Haute Holorgerie, one of the more sought after watches of recent decades is the company’s 150th anniversary edition, the Calibre 89. Produced in 1989, this may be one of the most ultra-complicated mechanism-based watches ever devised, designed with 39 separate complications– including a star chart that helps track time by comparing the Earth’s rotation to the fixed position of the stars. 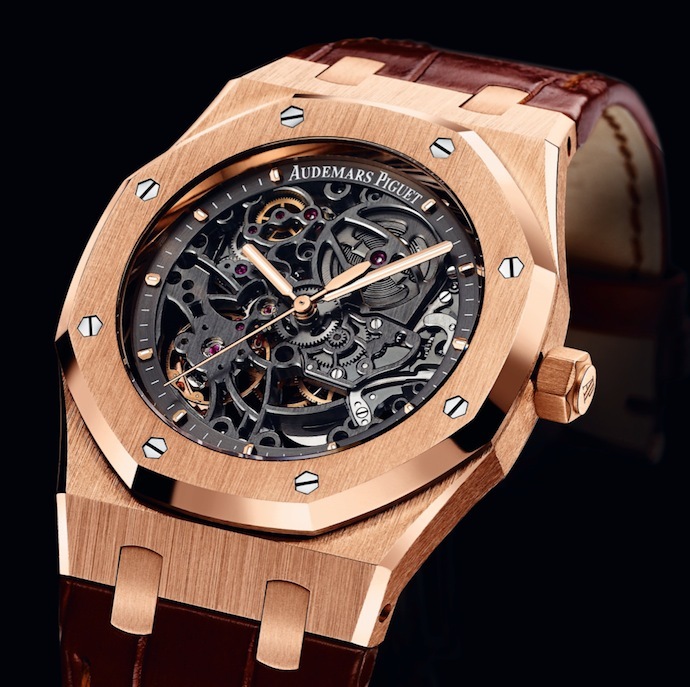 Another manufacturer preferred by people in the know would have to be Audemars Piguet, widely considered in the industry to be one of the “Big Four”, a select group of the makers of the most premier Swiss watches. The company was founded in Geneva in 1889, and to this day still manufactures its own watch components and crafts every individual watch by hand. Audemars Piguet enjoyed success as one of the first watchmakers focusing exclusively on producing only timepieces of the most uber-luxurious styling. Like many watchmakers, they first enjoyed notable success in the early part of the 20th century. If you own a watch branded as Tiffany, Cartier, or Bulgari from that era, what you have in reality is a rebranded Audemars Piguet watch, and can be identified as such by its serial numbers. In the late 20th century, the company is credited with creating the first luxury stainless steel watch. Audemars Piguet is closely identified as a key component within the luxury lifestyle brand. Many prominent international celebrities from all walks of life wear their creations, including such luminaries as Michelle Yeoh, LeBron James, Arnold Schwarzenegger, Sachin Tendulkar, and Shaquille O’Neal, among others. In keeping with this lifestyle image, the company has been a longtime sponsor of a world-class thoroughbred racing event, the Queen Elizabeth II cup, and has been in the past a sponsor of winning teams competing for the America’s Cup. 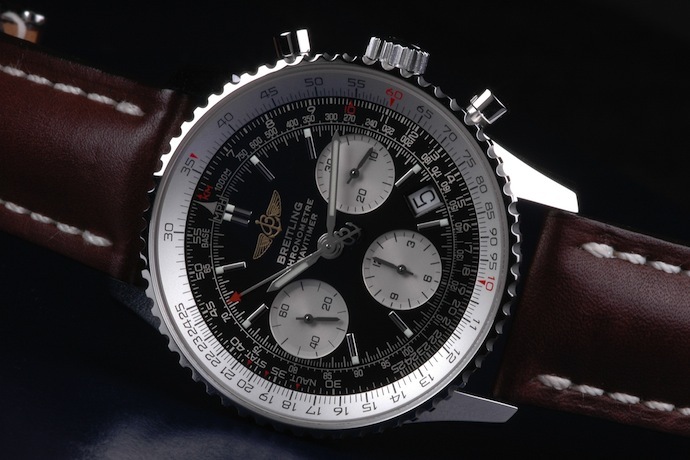 For busy, globe-trotting travelers, there is perhaps no luxury timepiece that is more fitting for there are than one made by Breitling, another prestigious Swiss watchmaker. Founded in 1884, the company is known for manufacturing watches that are almost unequaled in terms of precision and performance. A watch by Breitling is certified as a chronometer, which under stringent standards set by the Swiss Official Chronometer Testing Institute, the COSC, as meeting the absolute highest benchmarks of precise timekeeping. A man who wears a watch bearing the Breitling name identifies himself as living a lifestyle firmly ensconced within a distinct class of affluence and achievement. The Luxury division is represented by Breitling by Bentley, which promises and delivers a seamless juxtaposition of British style and flair with Swiss precision and performance. However, an intrepid traveler may be more interested in one of the watches related by Breitling for their Aviation division. In April of this year, the company introduced the Emergency II, which contains an emergency beacon which, when activated, sends out one signal that can be picked up by aircraft as far as 90 nautical miles away, and another signal that can be picked up by satellites. The effectiveness of this beacon has already been proven, when in 2003, two British pilots crashed their helicopter in Antarctica, but were located and rescued via their Breitling I emergency watches. The spirit of daring and intrepidness that the wearing of this watch promotes was inimitably demonstrated in 1999, when the company sponsored the Orbiter 3 project, which became the first balloon to successfully circle the earth without landing. The exclusivity of this watch is apparent, because it is normally reserved only for those clients who hold a pilot’s license. Customers without such a license may still purchase a watch, after first signing an agreement where they accept responsibility for the entire financial costs should a rescue operation ever need to be initiated due to the emergency beacon. No discussion of luxury watches can be complete without mention of one of the most powerful and influential global brands in the world, Rolex. This is only fitting, because many powerful and successful men feel that their wardrobe for the day is not complete without a prestigious Rolex timepiece on their arm. Although founded in London in 1905, Rolex moved its base of operations to Switzerland in 1919, and has grown to be the single largest manufacturer of luxury timepieces on the planet. Legend has it that the name was inspired by contracting the term “horological excellence”, which has proven to be more than an appropriate choice. Since its inception, Rolex has been responsible for many innovations in watch-making. The company was the first to offer a waterproof watch, the first to offer a watch with automatically changing day and date, and most impressively, Rolex offered the first wristwatch ever to be certified as a chronometer. The name Rolex is synonymous with the superlatives that come with extreme performance. 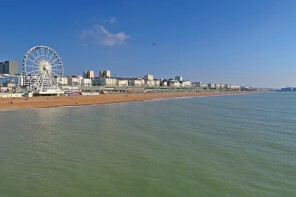 In 1927, Mercedes Gleitz swam most of the English Channel wearing a small gold Rolex watch on a ribbon around her neck, and afterward, it was found to still be keeping perfect time. In 1953, Sir Edmund Hillary wore a Rolex to the 8848 meter height of Mount Everest. 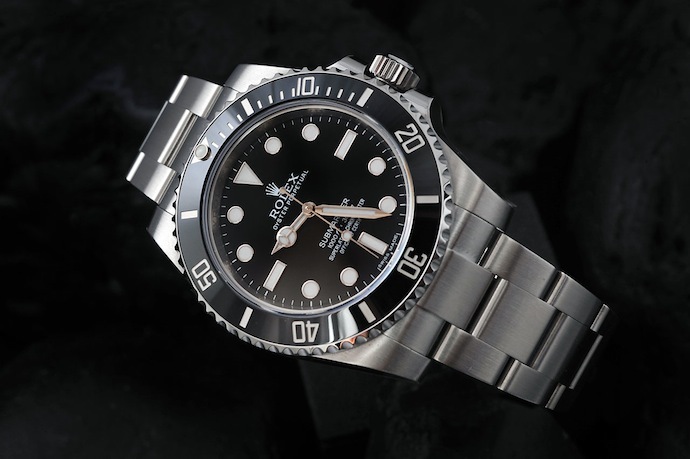 In 1960, a specially-designed Rolex watch was strapped to the outside of the bathysphere during an expedition to the deepest part of the Marianas Trench, a depth of almost 11,000 meters. The brand is recognized worldwide for its precision, and as such, Rolex is the official timekeeper for many major sporting events, including Wimbledon and the Australian Open in tennis, the US Open and the Open Championship in golf, and the LeMans 24-hour race and the Formula One racing championship. The image of a Rolex watch as the ultimate symbol of wealth and achievement has long been part of the public’s consciousness. Marilyn Monroe presented President Kennedy with a personally inscribed watch for his birthday in 1962. The Rolex was the original choice of James Bond. Paul Newman wore one, as does Russell Crowe and Jay-Z. Many world leaders wore Rolexes– not only President Kennedy but President Johnson, revolutionaries Che Guevara and Fidel Castro, and even spiritual leaders the Dalai Lama and Pope John Paul II. In the final analysis, the watch a man wears is an intimately personal choice, yet it makes a statement about that man to the rest of the world. A luxury watch is much more than about keeping time; rather, it is an outward representation of the level of accomplishment and wealth one has reached, and the requisite prestige that accompanies those accomplishments. Totally agree with your article. ever man should have a nice watch! I am not much of a jewellery fan but I do love watches. I got my first Rolex for my 30’s and I have to say I absolutely love it, I think the only problem is I want another now! Thanks for stopping by Ross, I would love a Rolex, currently I’ve got a Tag. Which model do you have? Checked out your blog, looks great btw! The servicing was free, cause it was within the warranty, shudder to think what the price of the next servicing will be ….